2019 holds out a lot of scope for long weekend and short trips. Bookmark this story as we will update and add information as and when confirmed on all of these holidays. Roughly translated, Eid Al Fitr means “festival of breaking the fast”. The holiday is a celebration which marks the end of Ramadan (which is forecast to be on June 3 or 4). Once confirmed, residents will get four to five days off based on when it falls during the week. Eid Al Fitr begins automatically after the last day of Ramadan, on the first day of Shawwal. 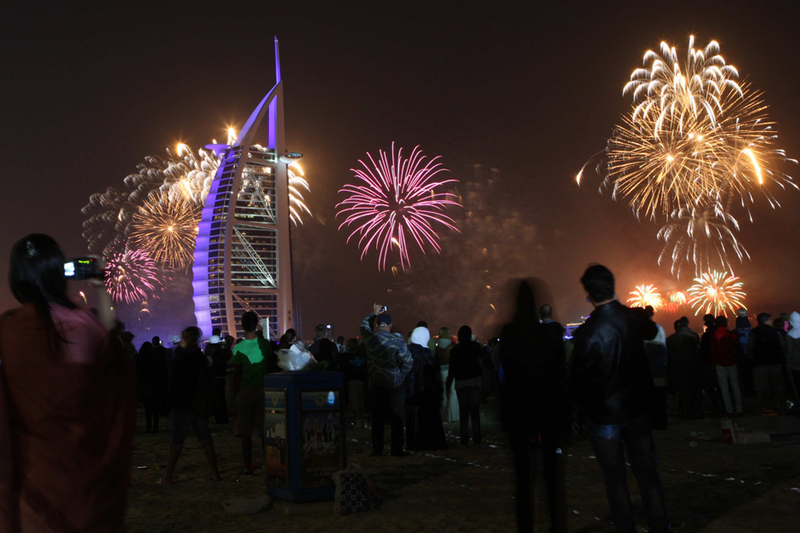 In 2019, the UAE Cabinet declared the holidays starts from Ramadan 29, which could be June 3 (Monday) or 4 (Tuesday), the date will be confirmed closer to the date based on the moon-sighting. Arafat Day is the second day of the annual haj (or pilgrimage). The holiday takes place the day before the start of Eid Al Adha. At dawn, Muslim pilgrims make their way from Mina to a nearby hillside called Mount Arafat and a place called the Plain of Arafat. In 2019 Arafat Day is predicted to fall on a Saturday (August 10). However, the date is subject to moon-sighting and could change. Eid Al Adha translates to the “festival of sacrifice”. The holiday honours Ibrahim and his willingness to sacrifice his son Ismail for Allah. Ismail is happy to oblige before Allah sends his angel, Jibra’il, to inform Ibrahim that he has already accepted the sacrifice from his heart. Goats are sacrificed and divided into three parts: one part for the family, one part for relatives, and one part for the poor. The holiday begins on the 10th day of Dhu Al Hijja – the last month of the Hijri calendar. In 2019, Eid Al Adha is expected to begin on Sunday, August 11. A three-day holiday for Eid Al Adha, in addition to Arafat Day on Saturday, means a long weekend in August. The date is subject to moon-sighting and could change. Al Hijri is the Islamic New Year. This year, the date expected for this observation corresponding to the Islamic calendar is Saturday, August 31 in 2019. Since the holiday falls on the weekend, residents may get Sunday off. The holiday will be announced closer to the observation. Commemoration Day (sometimes referred to as Martyr’s Day) is celebrated as a public holiday on December 1. In 2015, the day was declared by His Highness Shaikh Khalifa Bin Zayed Al Nahyan, President of the UAE to honour Emiratis who died for their country. The UAE’s National Day will be celebrated on December 2 and 3 this year. Although the UAE – or the Trucial States as it was known until 1971 – was never part of the British Empire, it was a British Protectorate. The protectorate treaty was withdrawn on December 1, 1971, paving the way for the federal unification of the Trucial States. Abu Dhabi, Dubai, Sharjah, Ajman, Umm Al Quwain, and Fujairah made up the original UAE, with Ras Al Khaimah joining in a year later in 1972. 2019 will be the UAE’s 48th birthday. This year December 2 (Monday) and 3 (Tuesday) in addition to Commemoration Day on December 1 (Sunday) will definitely give you a long weekend this year, so go ahead and plan that trip. Some of these holidays are subject to change.